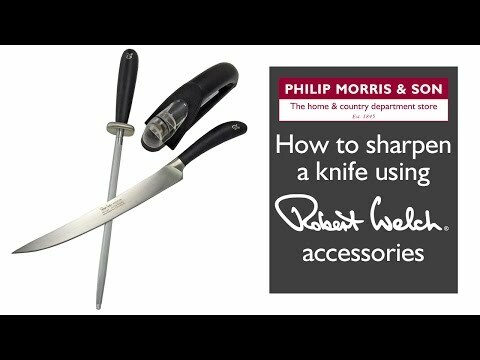 Keep your knives at their sharpest with the Robert Welch Signature sharpening steel. This brushed steel sharpener creates an exceedingly sharp blade on your knives. The ergonomic handle makes it comfortable to use and makes sharpening your knives as simple as possible.